Promoting sustainable sourcing of energy, the market for combined solar energy and storage is expected to reach $2.8 billion by 2018, PV Magazine reported. The report by market research firm Lux Research found that Japan will continue to lead in sales for the solar energy and storage market. Facing high electricity costs and continuing recovery from its nuclear crisis at the Fukushima Power Plant, Japan is expected to install 381 megawatts of solar paired with energy storage by 2018. The second biggest market is in Germany, followed by the United States. This could be due to public policies in both of these countries that allow for the subsidization of solar and energy storage costs. ''Developers are pushing packaged solar and storage systems in order to stand out as value-adding leaders, but not all benefit equally,'' said Steven Minnihan, Lux Research senior analyst. The Lux Research study revealed that sales for residential systems will grow the fastest compared to commercial or industrial ones. Despite this projected growth, the report shows grid-tied solar installations will continue to dominate the market. Sales of solar arrays are expected to increase as more buyers want this amenity for residential homes, according to Bloomberg. The Solar Energy Industries Association said demand for residential solar systems will expand 56 percent nationwide in 2013. Some parts of the country are even requiring installations for these energy-generating devices. "In the next six months, home​ builders in California and the expensive-energy states will be going solar as a standard, and just incorporating it into the cost of the house like any other feature," Jim Petersen, chief executive officer of solar contractor Petersen​ Dean, told Bloomberg. 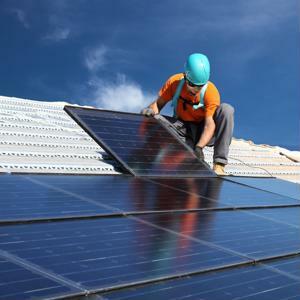 To meet this demand in the consumer product market for photovoltaic systems, more construction companies are offering solar panel installations on new home. Installations are usually less than $15,000 for a 3-kilowatt system that is able to power a regular mid-size home.